An upcoming BBC drama adaptation of the Elephant Man is being heavily criticised for casting a non-disabled actor as the lead part. 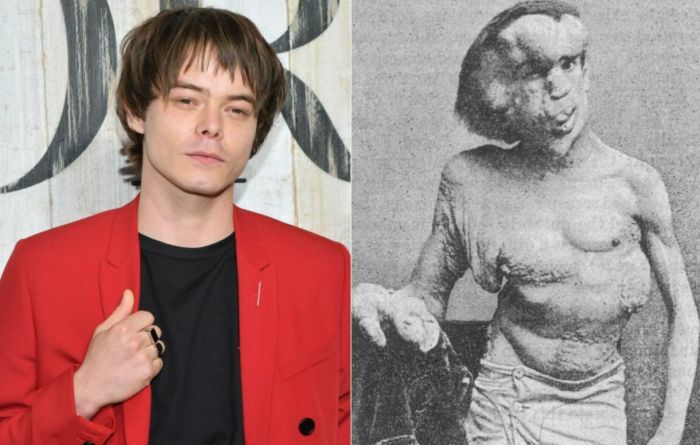 Stranger Things actor, Charlie Heaton has been cast as Joseph Merrick, a severely disfigured 19th-century man who was exhibited at shows as the Elephant Man before going onto live in a London Hospital. The BBC drama, which is set to air next year, has come under fire for the casting of a non-disabled actor as the leading part – an issue that is prominent in many television series and films worldwide. Phil Talbot, Scope’s head of communications, was quoted saying: “It’s disappointing that a disabled actor has not been cast in the remake of The Elephant Man, as it’s one of the most recognisable films to portray a disabled character. Similarly, the decision by production company New Pictures to cast a non-disabled actor has been criticised by VisABLEtalent agency, Louise Dyson. She told Newsbeat: “It’s not a great surprise it’s just a huge disappointment that we weren’t even given the chance to audition for the role. What do you think about the casting? Should a disabled actor be playing the role or was Charlie simply the best fit for the programme? Let us know on Twitter. Are you following us on Twitterand Instagram? Be the first to comment on "Disability representation in the media fails again as non-disabled actor cast as Elephant Man"